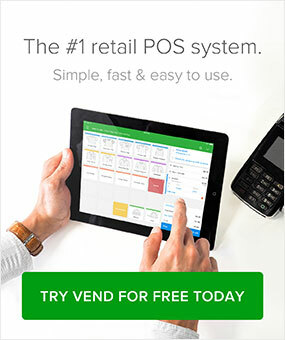 This is a guest post written for Vend by Museum Hack. Brand-activation events (sometimes called experiential marketing) have been used by large brands and scrappy startups to attract users and to get attention on social networks. While still a relatively new marketing channel, events can be extremely effective at delivering both in-store traffic and online accolades. Activation events allow brands to create the experiences necessary to win the right audience, bring traffic in-store, and introduce new merchandise. These events draw customers out of their homes and therefore cannot be replicated online. The resulting in-store traffic is amplified by participants sharing their experiences online and laying down enticing optics for future in-store customers. What is a brand-activation event? Brand-activation events are limited, exclusive, and well-planned. A good event brings a coveted audience in-store, makes new merchandise accessible, and delivers an experience that’s memorable, shareable, and difficult to replicate. Brand-activation events are usually one-time affairs that encourage customers or the public to engage with a product or to see the brand in a new way. You might hear them called “experiential marketing,” too. These events (or occasionally stunts) differ by brand and market. Startups perceived as innovative tend to be the leaders in creating unique events that get attention. At Museum Hack, we’ve created and helped plan these experiential brand events for companies and organizations like Bloomingdale’s, Elizabeth Arden, UNICEF, BarkBox, Fujifilm, and more. Warby Parker, the online glasses maker, hosted a pool party at the Standard Hotel in Los Angeles. Staff members promoted the company’s new sunglasses by walking around with mirrors and carts of glasses so guests could try them on. Bloomingdale’s designed a fast-paced scavenger hunt customized to their brand and their flagship store. The scavenger hunt helped customers explore unknown stories about the brand and its history. Attendees interacted with salespeople, were challenged to create their own outfits, and took tons of photos that they posted to their social media networks. IKEA created a pop-up restaurant in London that allowed visitors to cook their own meals for family and friends “to celebrate the joy of cooking together.” The event promoted IKEA’s products (from cooking utensils to kitchen outfits) and, of course, their food product line. The restaurant was open for about two weeks, had professional chefs on hand, and received an incredible amount of press. These examples illustrate the general concept of brand-activation events and can give you some good inspiration, but your own activation event needs to be original. Successful events come from those who know their brand and customers best — so now, we’ll tell you how to land on that great idea. A great brand-activation event needs to center on something that ties into the brand itself and creates a fun, memorable experience for customers. The best ideas sit at the intersection of what your customers enjoy and your unique product offering. Where are my customers most likely to use my products? How can I recreate that experience in-store? What’s the unknown or hidden backstory behind my brand and founding? What are the unique features of my store and products? How can I tell that story through an activity? Are my customers attracted to beauty? The outdoors? Competition? Sports? How can I get customers to interact with each other? Now that you’ve got some ideas in mind, let’s talk about how to put them into action. At the heart of an effective brand-activation event are in-store traffic (or traffic to your brand location) and social engagement that travels beyond the event itself. These 7 proven ways to shape, create, and run your events will help you achieve those things. Unless you have an endless marketing budget, your activation event will be exclusive simply because it’s only on for a limited time. Whether it’s a few days or a couple of weeks, make sure your audience and customers know your event has a definite start and end. And use this to your advantage when promoting it! Local media and influencers are attracted to short-term events, especially when they’re unique and have a creative angle. If you have a sizeable customer base and/or are located in a big city, require people to register for the event so you have an accurate headcount. Or better yet? Sell tickets like Bloomingdale’s did. Another option is to invite influencers and VIPs first and then sell tickets for the remaining spots. It’s worth noting that the more exclusive the event is, the more likely attendees are to share it on social media. Brand-activation events are refreshing because they’re not digital marketing plays; instead, you get to interact with your customers face-to-face. Your event should be so much fun that everyone there is using social media to capture what’s happening. Encourage attendees to share videos and photos, and create a hashtag for the event so it’s easy to find all the media you’re generating. But go one step further by making technology an actual part of the event. If you’re running a scavenger hunt, require participants to collect the hints by snapping photos or texting a number for the next clue. If you’re hosting a poolside party or cocktail event, create photo-booth stations with various themes and give away prizes to the most creative. Brand-activation events are effective because they bring people into your store. This means attendees have a chance to talk with you directly and to interact with new merchandise. Use that to your advantage by choosing your store as the location for your event. During planning, make sure there’s movement from one area/department to another. 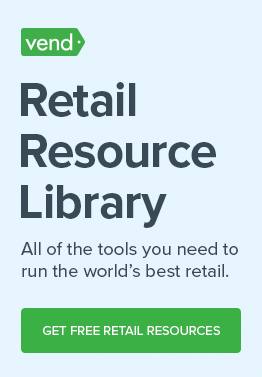 This helps customers see your store in a new light. Even if your store is small, you can encourage new ways of seeing it by making use of “forbidden spaces” like the stock room, the back of the store, or behind the register. (Pro tip: incorporate these spaces into your custom activities.) Done creatively, this can make your customers and guests feel like insiders. If you build the event, they will come — but will they stay? At the heart of your event are the activities that keep people engaged and talking. Combined with storytelling, this is what Museum Hack is known for: activities that engage, teach, and get people to laugh together. It’s not enough to simply have a space and a product; you need activities to help customers “activate” your brand. Even if you have one big event, incorporate smaller activities throughout. This is especially important as people arrive and if they’re waiting in line or for something to start. For example, you might get people talking by asking “icebreaker” questions that are fun and easy to answer and that tie into the event’s larger theme. The best activities are collaborative and get groups working together. If you sell apparel, you might give three disconnected items to a team of two and ask them to come up with a story about the person who bought them. These activities are great for social media and can be used to get your hashtags trending. Your event should stand out from a standard experience in-store and even online. Customers should be able to discover information, products, and stories that are otherwise hidden or off-limits. This can be done in a number of ways depending on your event. Include incentives like $10 gift cards, prizes, or an extra discount if they complete all the activities or find all the clues. Discovery doesn’t have to be limited to your brand or store. You can also encourage discovery of your industry or city with trivia and factual questions. This can be a great way to encourage participation while preparing attendees for a grand story. To host a successful event, include your staff and ensure they’re well-informed. Once you’ve settled on an idea, involve your team in the details, ask them for ideas to improve, and assign responsibilities. By involving your staff from the beginning, you’ll make sure customers have an even better experience. Moreover, your event can actually help your staff improve by giving them a better understanding of your brand’s stories, the hidden history behind your store, and the details of your founding. While an event is built for customers, it can have a large impact on brand loyalty within your own ranks. We’ve created an entire business around storytelling at Museum Hack. It’s at the core of what we do, both inside the museum on tours and outside when we’re consulting with brands. Storytelling for brands can transform the way that teams, floor staff, and sales teams work, and it’s an essential part of an event. Every company can infuse character into their events and brand by asking the question, “How do we make this specific thing more interesting?” Then you tell stories about what you do and about your company’s rich history so attendees know and care. Even if you know your founding story, you can make it more interesting by digging deeper, restructuring it, and dropping in a juicy bit of unexpected gossip. A grand story at a brand-activation event requires 1) actual stories told to the customer and 2) having the event itself tell a story that reinforces the brand. Brand-activation events are unique, difficult for competitors to copy, and keep your brand front-of-mind for months. As online competition increases, brands that can create experiences are the ones likely to win loyalty and revenue. Best of all, activation events get customers into your store and entice them to share their experiences online. Whether you have an international brand or a new boutique, activation events are an excellent way to create meaningful connections with your customers, community, and media. Museum Hack is an experience company that delivers unconventional tours of the world’s best museums for the public and teams. They’re also a thought leader in live-experience activation events for brands and companies that take employee and customer engagement seriously. They’ve worked with Bloomingdale’s, Elizabeth Arden, UNICEF, BarkBox, Fujifilm, and more.